If you need access to quick cash, you may be thinking about using a payday loan to get it. While they can be beneficial in certain situations, you may want to look at some other alternatives as well. Here are a few alternatives to getting cash with a payday loan. One of the most common alternatives to a payday loan is working with a pawnbroker. Pawn shops regularly offer short-term loans to customers. You can find pawn shops in many different locations and most likely one in your area. Most of the time, the terms of the loan will be for less than a month. In many cases, the interest will be as high as if you got a payday loan. In some cases, this type of loan will require some type of collateral in order to get approved. You might also be able to sell some of your things at a pawn shop in order to get the cash that you need. 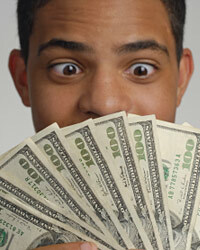 Another option that you might consider is getting a cash advance on your paycheck from your employer. While this is not available with every employer, some of them will offer this service from time to time. Most of the time, this will not require you to pay any interest or fees. Instead, it will be done as a favor to you by your employer. In order to arrange this, you will need to talk to your employer to see if they would be open to the idea. In many cases, if you have a good relationship with them, they will be able to accommodate your need. Since you are an employee, they want to see you be able to pay your bills and remain employed with them. If you have credit cards, you may also be able to gain access to quick cash. Most credit cards have a cash advance feature that allows you to borrow money against the credit line on your card. In order to do this, you will need to access an ATM or a bank. Most of the time, your credit card will have you set up a pin number that you can use to gain access to the cash you need. Simply put the credit card into the ATM, enter your pin number, and then the cash that you need will be dispensed. When you use this method, you should be aware that most of the time the credit card company is going to have a higher interest rate for cash advances. If you are used to paying a certain amount of interest on purchases with your credit card, the cash advance rate will undoubtedly be higher. There is also typically a separate credit limit for cash advances compared to regular purchases. Therefore, you might have a $5000 credit limit, but only a $500 cash advance limit on your card.